Fly Catcher Trap will catch and kill upto 20.000 flies over a 12 week period. Flies are attracted by the fly attractant bait within the Fly Catcher Trap bag and once inside, the flies cannot escape from these effective traps. 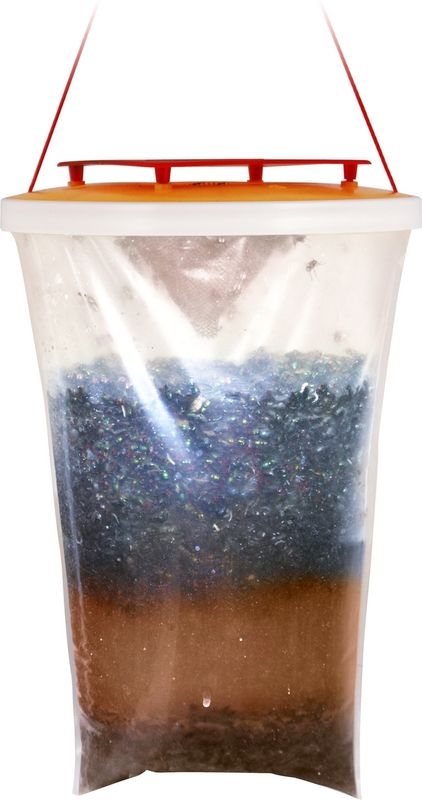 The fly attractant bait is non toxic and chemical free but contains fly pheromones to lure the nuisance flies into the trap. Easy to use, just fill with luke warm water, hang in the sunshine and the fly bait will start to work, trapping and killing flies. These traps are best placed about 10 metres away from your patio and outdoor seating areas. If you position it away from your house or premises it will attract flies away from where you are! This is a very effective method for stopping and getting rid of nuisance flies.